I was doing therapy with stroke patients, laying out 6 photo cards, looking for all foods, and asking them to point to the “banana.” Then I’d gather up all the cards, find 6 more of objects, lay them out, and ask them to point to “stapler.” After each trial, I’d write down a plus or minus on my notepad and they would wait patiently while I repeated the same process over and over. We would get through about 10 trials in 5-10 minutes. I knew this had to be possible on the iPad, but when I went to the App Store, there wasn’t anything suitable for adults. When did you first release this app? Comprehension TherAppy came out in June 2011, just 3 months after we incorporated Tactus Therapy Solutions to create apps for all ages for speech therapy. The best part about the app is how simple it is, yet how customizable and effective it can be at the same time. Those same 10 trials that used to take me up to 10 minutes are now done in well under 1 minute. My patients now get so much more practice and improve so much faster. It’s great for assessment and therapy. I also love the settings – the auto-adjust for field size, the difficulty levels (pick “Hard” to get all the same category), and the email report. It means I can use it with just about anybody working on single words. The app works on listening and reading comprehension of single words. It contains nouns, verbs, and adjectives and now has the option of adding your own words/photos! It’s really for all ages – 2-100. Young children can show their receptive vocabulary, older students can work on reading, adults can work on Spanish or French vocabulary, and brain injury survivors can do their therapy for aphasia, attention, or reading. There’s a child-friendly setting to turn off some words and links, but with the new upgrade, you can de-select any word in the app. The design is clean, so it’s great for kids with autism who don’t handle a lot of stimulation or illustrations well. This chat is happening to mark the release of Version 1.05 – flush with new features. We’ve added customization, database control, a back button to review answers, and a Hint button! This is a professional speech therapy app – is it just for SLPs or can parents use it too? It is designed for both clinic and home use. It’s best if a SLP can recommend the right settings and levels of our apps, but there’s no harm in using them without professional supervision. For the SLP, the app has a report already written in clinical language and can be used for many clients. For the home user, the app adjusts to grow with the user’s skills. 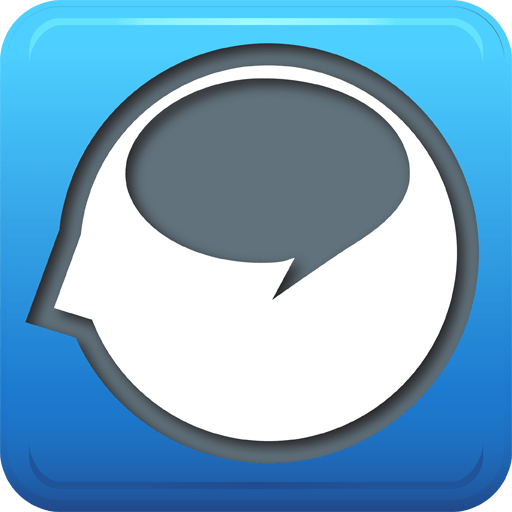 The app has a FREE trial available in an app called Language TherAppy Lite. If someone wants to use more than 1 of our first 4 apps, they can buy Language TherAppy 4-in-1 at a discount to get Comprehension, Naming, Reading, and Writing TherAppy together. Comprehension TherAppy targets auditory and reading comprehension of single words. Designed to help people with receptive dysphasia and alexia, it is also a valuable tool to treat attention and other cognitive deficits. 3 user-friendly modes include Listen, Read, and Listen&Read to target individualised goals. The app automatically adjusts difficulty based on performance, allowing for independent massed practise. Built-in scoring and a results summary that can be e-mailed to the therapist in copy&paste report format makes therapy easy! Over 500 nouns, 100 verbs, and 100 adjectives with full-colour photographs, recorded voice, and clear text – now add your own images too! Over 700 clear full-colour photographs selected by a Speech-Language Therapist included in the app, or add your own! 10 categories of nouns including animals, foods, objects, concepts, places, people, body parts and more. Also includes verbs and adjectives. Built-in hints reveal the missing modality for even more ways to learn! *ADD YOUR OWN WORDS!! Create your own personalised exercises using the new customisation feature! *Built-in Hints!! Hear the word on Read mode, read it in Listen, and see a picture in Listen&Read to help when you’re stuck! *Turn on or off any image/word in the app! *Retina graphics, updates to instructions and images, iPhone5 layout, and new settings make this amazing app even better! This looks like a really good app that could be useful for some of my kids. Could be adapted to various skills that you might be targeting.